Moscow, Russia, August 12 2018: Boy holding Rubik's cube and playing with it. 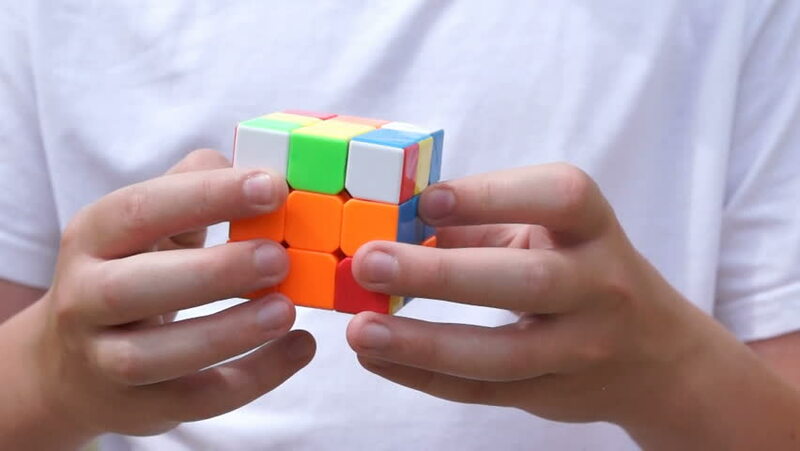 Rubik's cube in child's hands, closeup. hd00:26Moscow, Russia, August 12 2018: Boy holding Rubik's cube and playing with it. Rubik's cube in child's hands, closeup. 4k00:05TAIPEI, TAIWAN - AUGUST 21, 2018: Businessman's hands solving rubik's cube puzzle. Puzzle cube, puzzle game, best-selling toys. Man's hands in a shirt closeup. Part 02. Speed up. 4k00:06TAIPEI, TAIWAN - AUGUST 21, 2018: Businessman's hands solving rubik's cube puzzle. Puzzle cube, puzzle game, best-selling toys. Man's hands in a shirt closeup. Rubik's cube is solved. Part 01. 4k00:06TAIPEI, TAIWAN - AUGUST 21, 2018: Man's and child's hands solving rubik's cube puzzle. Puzzle cube, puzzle game, best-selling toys. Man's and child's hands closeup. Part 01. Speed up. Recycled video. hd00:45Slow motion. Toddler girl playing with building blocks.